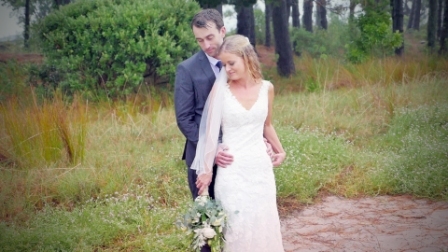 Coromandel videographers, Nuance Photography and Videography present the latest wedding video highlights during a recent storm in the Coromandel. The Coromandel gets it fair share of rain and storm. Be prepared is the best advice and hire great vendors! You will likely have the perfect day in baking sun and complain how hot it is all day long however. Occasionally the worst happens and a tropical cyclone comes on down from the north bringing strong winds and rain. Do you get upset and cancel you wedding? Definitely not! Choosing the best professional suppliers will ensure you can carry on as though it’s sunny and warm. Leave the stress of there rain and wind up to us. No point stressing, you only get one day, make the most of it. How do we get such great footage in a storm? Getting married on the Coromandel is a dream come true and one of those greatest decisions you will ever make. The Coromandel is like stepping back in time and frozen and offers up golden beaches, gorgeous islands, majestic cliffs, waterfalls and caves. A little rain won’t kill the natural beauty. When we meet discuss the day with our clients we ensure them not to panic if it rains. We remind them that in the movies to make it look like its actually raining they use huge monsoon buckets with extraordinary amounts of water. The truth is it’s hard to detect rain with a lens. This is the food news. As long as we can keep our equipment dry you will get mostly rain free photos. If its so heavy you are getting wet this adds a level of difficulty. We utilise your bridal party, umbrellas (which make for great props) and get out and do it! It It very rarely rains all day and if threes a storm to just have fun, get out in it and enjoy your self, leave the creative photos to us. Never underestimate a good videographer and photographer, you won’t regret it. See below for a variety of videos that have been in the rain so you can see what you can achieve. Not stressing is the most important part of your day and photos. Relaxed and natural Brides and Bridal parties are key to fun and romantic wedding images whereto its still photographs or video. Claire and Ben wedding video in Whitianga, New Zealand.